Why Volunteer at the Idaho Coalition? 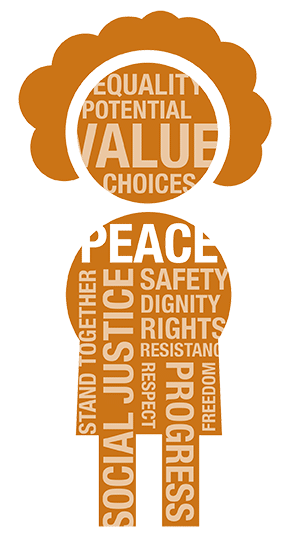 We envision compassionate communities, where violence against women and girls is no longer a common occurrence and violence in all of its form is no longer accepted. We want you to join us in this movement! By volunteering at the Idaho Coalition you will be part of a dynamic team devoted to creating social change and establishing equity for all. Join our volunteer list today! We typically seek interns who are able to commit to volunteering with the Idaho Coalition in a part-time capacity for 4 months. Interning with the Idaho Coalition is an opportunity to learn more about domestic violence, dating abuse, stalking and sexual assault and the first steps to participating in violence prevention before it happens. Placement opportunities are based on particular assignments as they come up. We seek individuals who are able to commit to the minimum time frame, are flexible, are open to all types of projects and those seeking to make a significant contribution in violence prevention efforts. Most projects are centered on providing support to the social change programs of the Idaho Coalition. To apply for one of the positions listed above, or if you would like to submit your resume for a general internship please click the button below to fill out of application form. We will continue to post information about additional volunteer or internship opportunities as they arise, so please check back soon. Please also note that our staff is small and due to the high numbers of applicants for these internship positions, we regret that we can only respond to candidates that we would like to interview. We greatly appreciate your support and interest, and hope to be able to expand our volunteer opportunities in the future. If you are only available once and/or for fewer hours there are many other ways to become involved. We plan numerous events throughout the year on prevention, intervention and response to Domestic Violence. Some of those activities such as, Domestic Violence Awareness Month (October), statewide convenings, National Teen Dating Violence Awareness & Prevention Month (February), and the Center for Healthy Teen Relationships program require many volunteers. We will continue to post information about these additional volunteer opportunities as they arise.